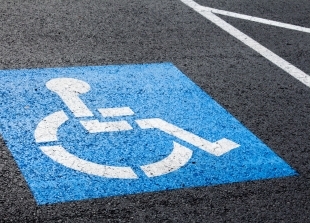 When parking at a metered space, a driver with a placard or handicapped license plate must put the appropriate amount of money in the meter. If the vehicle will occupy the space for more than the maximum amount that the meter holds, the driver must fill the meter to the maximum amount. All meters and / or meter boxes have maximum amounts posted on them. This will permit the vehicle to occupy the space for up to 24 hours, and no further payment will be required during that time. A municipality may require the vehicle to vacate the space after 24 hours. Tickets will be issued for non compliance. This is a courtesy Warning, provided by The Parking Authority of the City of Elizabeth in compliance with state and local traffic laws. Make sure you understand the rules!